New Directions Publishing Corporation, 9780811201780, 352pp. This volume brings together all of Kenneth Rexroth's shorter poems from 1920 to the present, including a group of new poems written since the publication of Natural Numbers, drawn from seven earlier books. 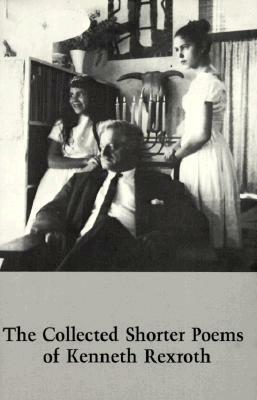 Among the American poets of the generation that came to prominence in the Forties, Kenneth Rexroth has been notable both for the independence of his personal voice and for his accessibility to the tradition of international avant-garde literature. He began writing and publishing in magazines at fifteen. His earliest work was personal and concrete, much like that of the Imagists. In his twenties he wrote in the disassociative style--sometimes called "literary cubism "--developed by Mallarm , Apollinaire, and Reverdy. This was not free association, but the conscious disassociation and recombination of the elements of the poem to achieve the highest possible level of significance. With his later books Rexroth moved back to a direct and classically simple form of personal statement. In this period he wrote the great nature poems, the love poems, and the contemplative lyrics that have established his reputation as one of the most important American poets.